All throughout the Puget Sound, marine habitats are dying as a result of unregulated shoreline development. Sound Action, a non-profit environmental “watchdog” group, is trying to reverse decades worth of this habitat loss. To save species such as orcas and salmon, as well as forage fish like herring, surf smelt, and sand lance, Sound Action is targeting something unexpected: paperwork and permits that are issued without required environmental laws being applied. The Washington State Department of Fish and Wildlife (WDFW) regulates a state law called the Hydraulic Code and a related permit called a Hydraulic Project Approval (HPA), which is intended to make sure that any development allowed along the shoreline protects fish species and their necessary ecosystems. However, WDFW has a long history of failing to properly apply important environmental laws to HPA permits for projects like docks, bulkheads, marinas, and industrial port facilities. “As a result of this failure, the state has been allowing habitat loss,” said Amy Carey, the executive director of Sound Action. 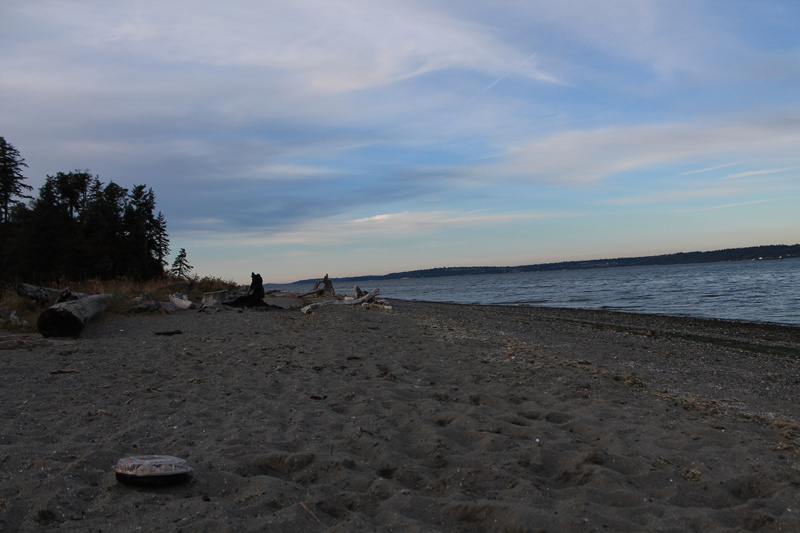 WDFW was supposed to send groups to survey Puget Sound shorelines and record and report evidence of forage fish eggs that are found on the beaches. If an egg was found, 500 feet on each side (which has since been changed to 1.2 kilometers after the issue was brought up by Sound Action) of that egg was to be protected along with it. For years, WDFW was failing to survey our shorelines, only using old and outdated surveys that did not accurately portray forage fish eggs on the beaches. Why? They were lacking in funding. Continuing and beginning forage fish surveys was not an action focus at WDFW, leading to prioritizing funding for other projects above the shoreline surveys. The survey work is a task group outside of WDFW’s typical work position, and without proper funding, none of their work could get done. Forage fish surveying is a very focused work, and the dedicated teams searching the shorelines for eggs each day requires adequate funding. To prevent this from happening, Sound Action reviews each HPA permit WDFW hands out — about 500 per year. When they come across a permit that allows habitat loss and violates the HPA, they file a legal appeal. Because the task group didn’t recognize the information gap and how it impacted permitting higher up within the department, they did not campaign for themselves to gain funding for their survey work. It was not until Sound Action filed multiple legal challenges that the task group understood the issue. Carey also spoke regarding the vast amounts of habitat that the permits defend. “The habitats that these permits are required to protect include eelgrass, kelp, and the almost microscopic creatures that the tiniest fish need to survive,” she said. When the habitats decline, they take salmon and orca populations down with them. As of May 2018, the Southern Resident Orca Recovery Task Force was created by the Governor and comprised of members from local governments in Washington and Canada, tribal groups, and other environmental protection organizations and stakeholders. Scientists believe that the recovery target population of Southern Resident Orcas in the Salish Sea is approximately 120 whales, but the current population has fallen to 75 in recent months. As part of their watchdog work, Sound Action is working on a subgroup of the taskforce, the Prey Availability Work Group, which primarily focuses on increasing salmon numbers. Because Southern Resident Orcas heavily rely on salmon for survival, a greater increase in the salmon population will stop declining orca populations. In August, the killer whale mother J16, also called Tahlequah, named after the South end of the island, gave birth to a calf that lived for approximately a half an hour. Tahlequah gained international attention for carrying her deceased baby on her nose for 17 days. Subsequently, federal agencies working with the Lummi Nation tried desperately to save J50, a 4-year-old calf, by pushing salmon and medicine in front of her. Despite these efforts, J50, also called Scarlet, has since recently died of sickness and starvation. “If we are going to turn it around, there is no more time… It has to be now,” Carey said. According to Carey, high schoolers interested in reversing the trend can help by learning about the issues of habitat loss and writing letters of concern to state decision makers.